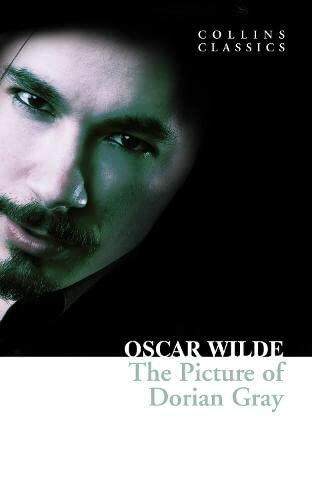 Wilde's first and only published novel recounts the story of handsome Dorian Gray who upon having his portrait painted desires that it will age and grow ugly while he may remain eternally beautiful. The painting, which reflects each of Gray's sins and transgressions in its hideousness, haunts him until it finally becomes unbearable. In this dark tale of duplicity and mortality, Wilde creates a world where art and reality collide. A lush, cautionary tale of a life of vileness and deception or a loving portrait of the aesthetic impulse run rampant? Why not both? After Basil Hallward paints a beautiful, young man's portrait, his subject's frivolous wish that the picture change and he remain the same comes true. Dorian Gray's picture grows aged and corrupt while he continues to appear fresh and innocent. After he kills a young woman, "as surely as if I had cut her little throat with a knife", Dorian Gray is surprised to find no difference in his vision or surroundings. "The roses are not less lovely for all that. The birds sing just as happily in my garden."